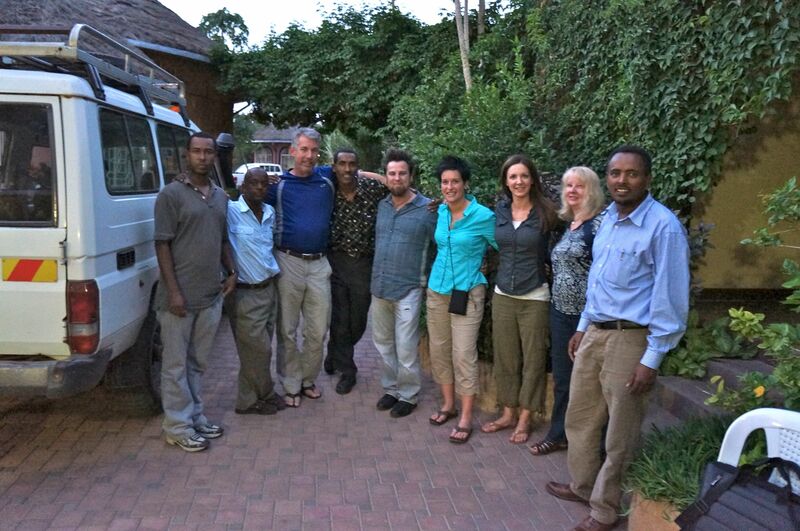 We rose early to fly westward from Addis Ababa to a smaller city, Dire Dawa in the Somali region of Ethiopia. The Somali region is barren, filled with villages located sparsely across the desert-like terrain. As you get closer to the Somali border, the potential for danger increases, so there is a growing focus on keeping those villages productive and self sustaining, in addition to obvious reasons that is also important so they are not tempted to fall into an environment of crime or worse, being influenced by Somali extremists. We arrived in Dire Dawa, checked into our African Village compound, which is like Shangri-La compared to most compounds located anywhere near disparate villages. 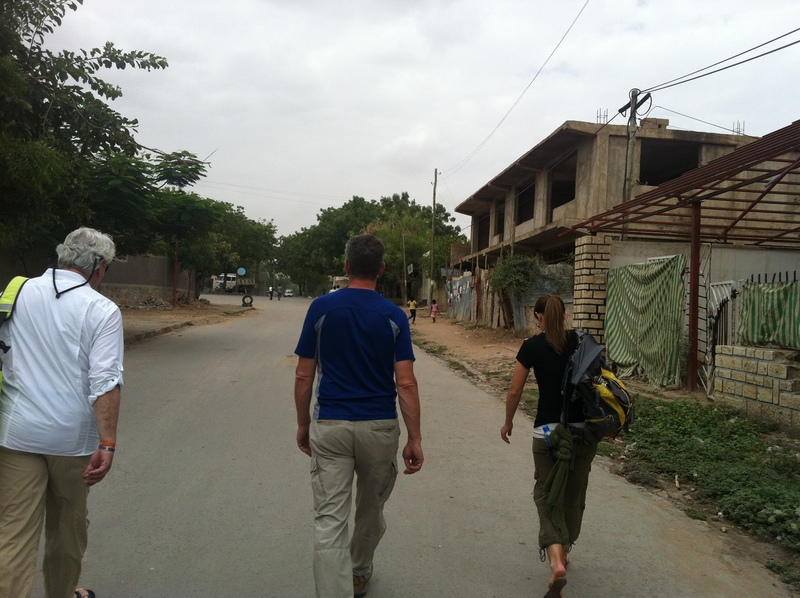 About an hour and a half away from the villages we will visit, it is in the heart of Dire Dawa, run by wonderful people and is incredibly comfortable – especially compared to hostels or guest houses you would typically experience in eastern Africa. We toured the market and the town, enjoyed great food, Ethiopian coffees and patiently awaited Jim’s arrival with Zerihun. 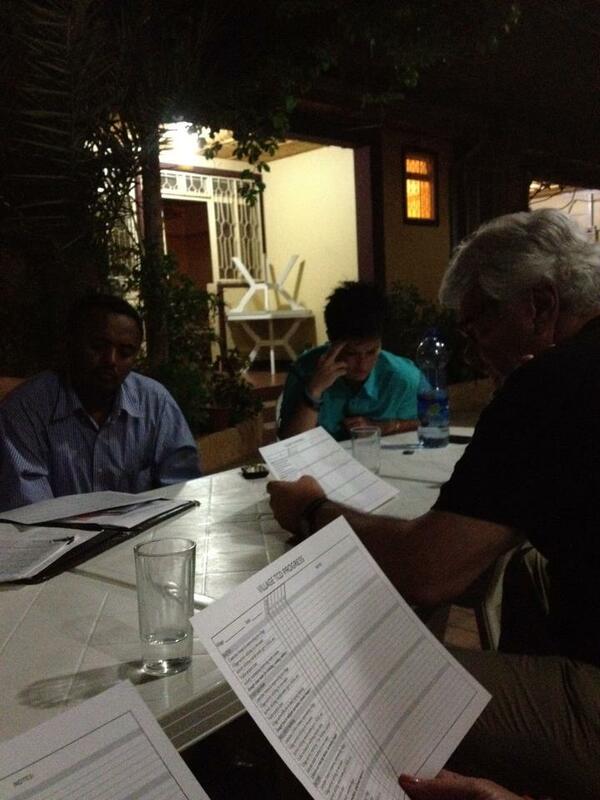 Once the crew arrived, we had a nice dinner at the hotel and went through our formal group orientation to what GHNI and Pangeo coffee already had in motion in the villages, and the work we would be doing on the trip. Jeff and Zerihun walked us through their development process for villages to take them from total dependance on aide to self sufficiency in 5 years or less. This is a powerful concept, one that prompted many questions and ideas, and something that struck a chord with all the changers of commerce in attendance. Sounds amazing. Incredibly driven and active people. Inspiring!